Etsy is a land of handmade awesomeness. who make things you could never find in a big name store. The other day I was browsing Etsy when I came across this. so totally random, hilarious and awesome all at the same time. Perfect for my friend Cyndi who is obsessed with this video and this song. 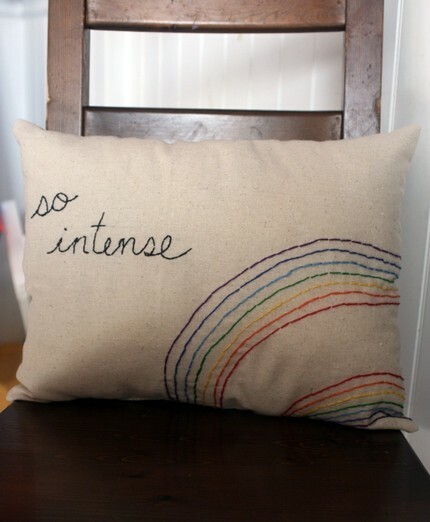 "double rainbow all the way across the sky..."
Oh Etsy, what would we do without you? Oh, god, I actually want to you must do everything you simply cooked. Looks amazing and, I really hope, tastes exactly the same. Basically could, I'd write a poem regarding your food, however i can't, so I'll ask Edu Birdie to create it, just in situation. Can you read something of that nature?